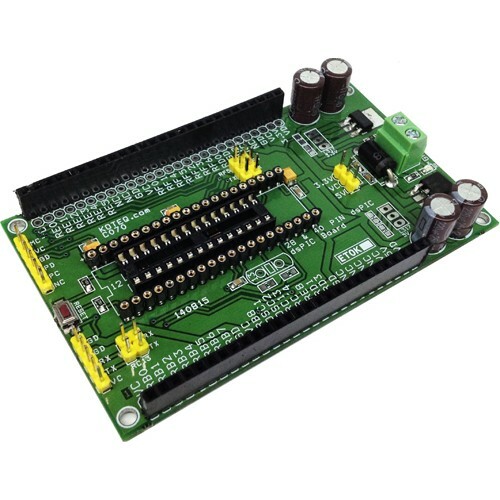 Single side development board with In System Programmable Flash based microcontroller, 89Sxx series. 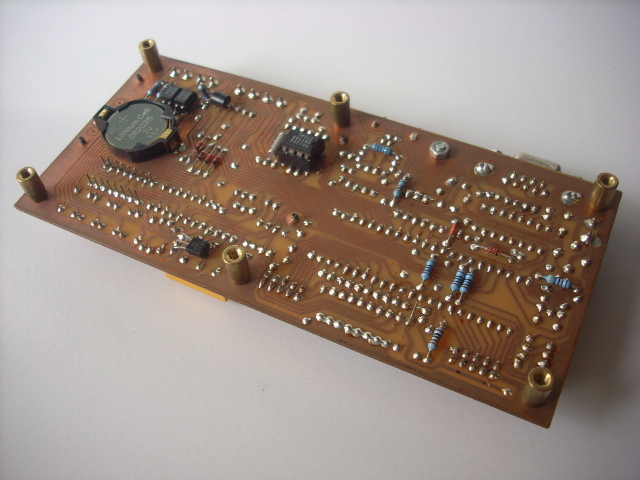 There are some 89Sxx development board, here is another one. 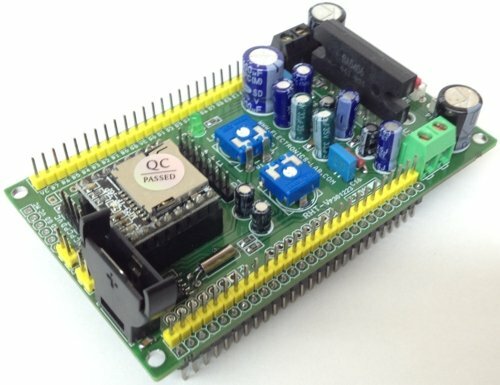 I have designed this single side development board to be used as a tool for learning MCS-51 Microcontrollers, and for easy microcontroller project development. The hardware block is shown in Figure 1. The MCU is 89Sxx microcontroller. And the complete hardware schematic is shown in Figure 2. 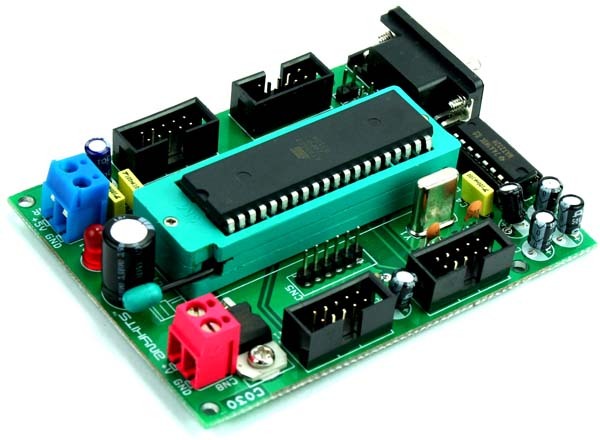 A SPI In system Programming adapter should be used for programming the circuit. Connect the ISP adapters 6 pin connector with the 6 pin ISP header on this board. Please note with the connection order (may a little bit different). 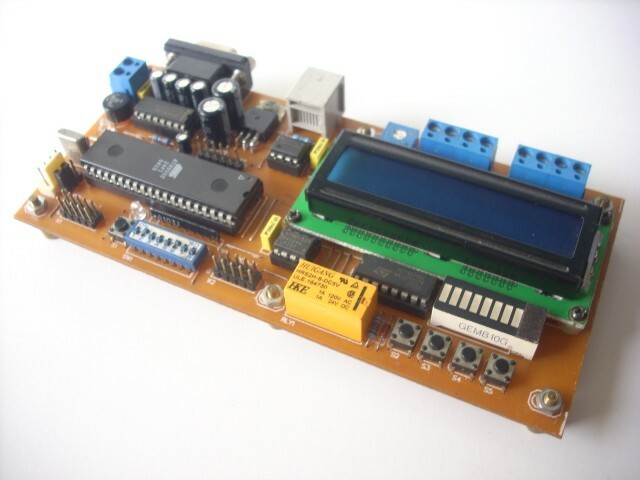 The project shows 89Sxx Development Board for remote control and monitoring. The system consists of 89S52 as main processor and mobile-phone (GSM modem) for remote control or monitoring over cellular network. Features of the system are as follows. This circuit connects to the serial port featured by many cellular phones. Its function is to provide an input and an output port capable of being remotely controlled using another mobile. 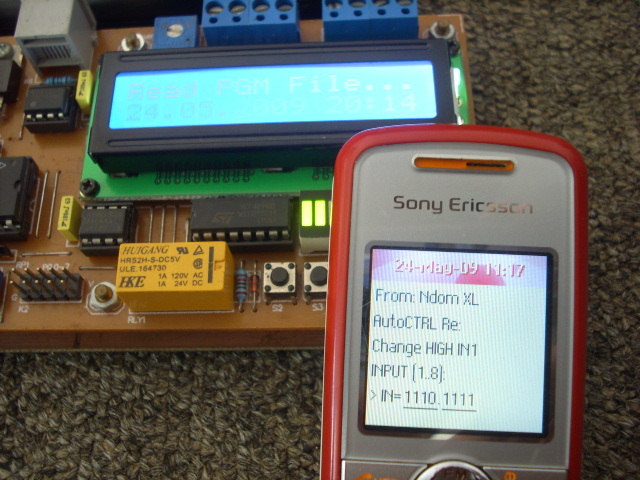 Control takes place by means of sending SMS (Short text Messages Service). When the mobile receives a predefined text message, the circuit automatically recognizes it as a command, and switches the output accordingly. The device can be used to notify the status of the input port, sending automatically a message every time the input changes. To know input status at any time, the device can send back a SMS describing the status of the input, as a response to a request message. 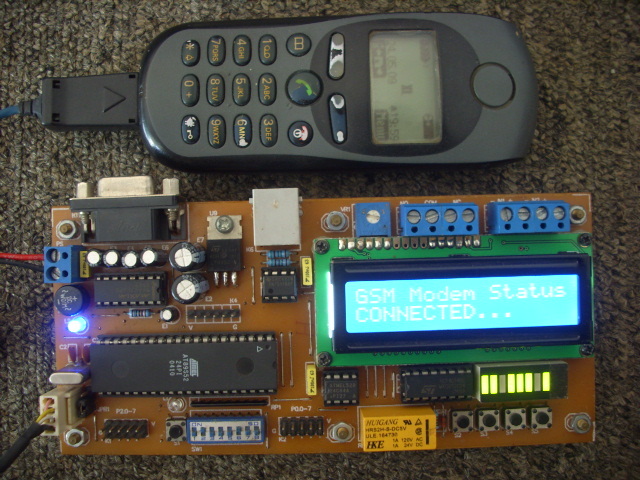 Communication between board and mobile-phone (modem) : rxgsm (P3.3 , RX from gsm), txgsm (P3.4 , TX to gsm) in TTL level. To start interfacing with, similar to modems, GSM cellular phones can accept AT commands(more precisely an extension of the AT command set).